USB-C is a new connector type. The connector itself can be used for other standards, for example VESA/DP alternate modes or Intel Thunderbolt 3. However not all USB-C connectors will support all standards, and some standards may require special USB-C cables to use the standard with the connector. This can cause USB-C connector confusion as it is not clear as to which standards the C connector supports, or which peripherals it can be used with. Which USB-C connectors can DisplayLink-enabled products be used with? As more products are enabled with USB-C connectors, it is possible to have a mix of USB Standard A and USB-C devices, which need to use the same DisplayLink enabled product. USB Universality can be maintained by using simple USB cables to connect USB devices or convert between USB Standard A/B and USB-C connectors. 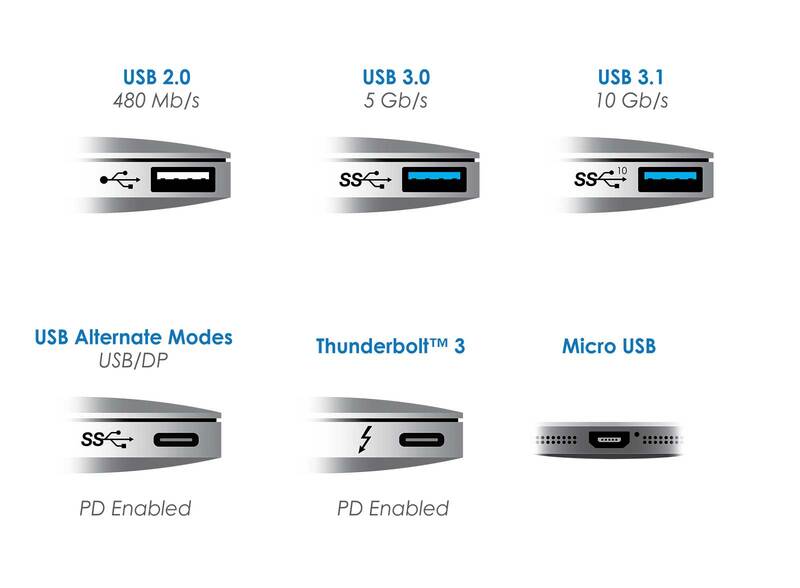 The table below summarises how to maintain universality with DisplayLink products as USB-C connectors become prevalent. DisplayLink enabled products can be used with any computer with a USB port. This includes the older USB Standard-A ports and the newer USB-C standard.